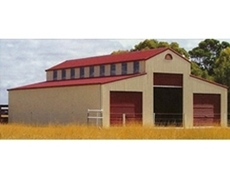 Supplying a large range of first class steel building for various applications, all sheds have been designed to withstand harsh Australian conditions and can be custom made. Campac is a privately owned and operated Australian company trading in the manufacturing of transportable buildings for either purchase or hire. Topline Garages and Sheds is the local dealer for Fair Dinkum Sheds. 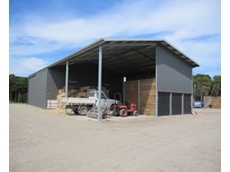 Offering you made to measure farm sheds, machinery sheds, Storage sheds, barns, hazy sheds garages and carports. Rural Merchandising Supplies. Supplies to areas around Harlin, Linville, Moore, Toogoolawah, Bryden, Esk and many more. Products animal health, seed, fertlizer, pumps, poly fittings, tanks, hardware and landscaping supplies. Olympic Industries design and construct steel buildings including garden utilities, hay sheds, machinery sheds, vehicle sheds and garages. Alpha Industries was established in 1985 as a small sheet metal rollforming factory. 21/09/12 - Sheds n Homes’ Bathurst distributor, Paul Oxley is way ahead of the rest of the group in terms of performance, ably meeting the huge demand for steel buildings in his region. 24/02/11 - The Rural Farm Sheds manufactured by Trusteel Fabrications are designed with a "built to last" mentality from hobby to large commercial farms. 04/05/09 - Tough Australian Made Sheds are available at the Sheds Galore End of Financial Year Shed Sale: May 1 - to June 30. 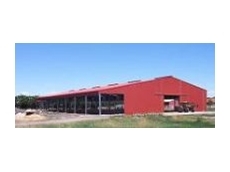 24/07/08 - Supershed Australia offers rural and industrial steel buildings. 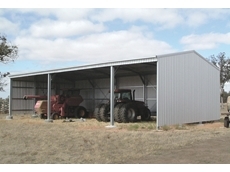 Supershed Australia provides superior building systems including the new super shed range of rural buildings. 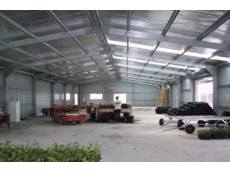 21/07/08 - Olympic Industries offers machinery sheds, hay sheds, wool sheds, vehicle sheds and workshops for rural buildings. 18/07/08 - Olympic Industries offers domestic products such as carports, verandahs, rumpus rooms, tool and garden sheds, fencing and steel framing system. 17/07/08 - Olympic Industries specialises in designing and constructing steel buildings ranging from small garden utility sheds to large industrial buildings. 01/11/06 - Wide Span Sheds is the industry leader when it comes to Farm Sheds, whether it be Open Sided, Fully Enclosed, or Lean-To fitted.